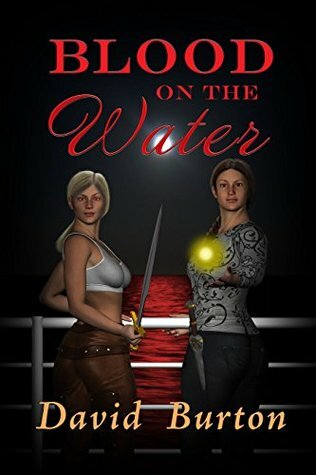 Picking up immediately after the conclusion of Burton’s exciting novel Blood Justice, Blood on the Water opens as Justine, vampire Simone Gireaux and their mortal friend Teresa Diaz bring long-delayed vengeance to the man who murdered Justine’s own mother more than twenty years earlier. Now they have one more mystery to solve: the whereabouts of Teresa’s abducted daughter, Antonia. Their Nemesis in Blood Justice, Stephan Sinakov, had told them that Antonia was “sold”—but to whom, and for what purpose, they can only speculate. Confident that Antonia isn’t dead, the three women seek help from old contacts of Simone’s in Massachusetts. They are plunged into a world of magic and sorcery, where powerful witches struggle for control of an underground network. This battle involves plenty of fighting with mundane weapons and high-tech gadgetry as well as spells and psychic power. Helping Teresa, Justine and Simone in their quest proves to have a very high cost for their friends. But in the course of their adventures, Teresa learns that she herself is heir to a gift of magic power she had never before suspected. As the three follow clues that take them down the Eastern seaboard, Teresa struggles to learn how to control and use her abilities in a trial by fire. Ultimately, Antonia is traced to a yacht owned by a mysterious and unimaginably wealthy vampire. Meanwhile, both allies and old foes from Blood Justice are pursuing the three women from California. But the truth about Antonia’s abduction may shatter Teresa’s determination to reclaim her daughter. This book picks up right where book one left off. I liked this one probably just as much as book one. Who doesn't like the whole vengeance-seeking thing? Especially when it's women doing all of the seeking. It did give me a Buffy vibe which I loved, no complaints about that here. There were some plot twists that were a nice surprise. I'm not going to lie, I don't like the cover. I am a person that judges a book by it's cover and I don't like this one.